Why does my furnace and AC unit need maintenance? ➤ Your wallet. Air conditioning units can cost as much as 20% more to run when your coolant is down 10%. A dirty furnace also uses more energy to run because it is not as efficient, and is more prone to breakdowns because it is clogged. That means your furnace and AC are not running efficiently, using more fuel. The yearly cost of maintaining your HVAC system can prolong the life of your air conditioner and furnace for years to come, meaning you won’t have to pay high fuel costs, or for a new furnace or air conditioner. ➤ Your budget. 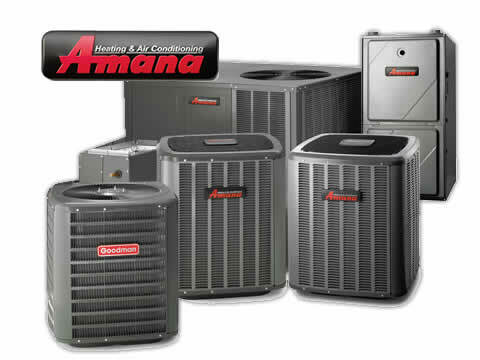 The cost of most repairs of your AC unit and furnace far exceed the average cost of regular maintenance. ➤ Your comfort. By maintaining your furnace and air conditioner, you ensure that both units are working correctly. That means you stay cool because your AC refrigerant level is always at the correct level air conditioners low on refrigerant blows warm air and runs for longer to get your house cool. Use the same principle for your furnace. A properly maintained furnace means you don’t have to deal with the discomfort of a broken unit, just the nice heat of a properly working furnace. ➤ Your home and furniture. If you work out of town on a regular basis or travel, consider the cost of repair if your furnace was to fail while you were away. Frozen water pipes can wreak havoc in your home, costing you far more as your home insurance increases because of your claim and in lost income if you have to take time off of work to replace damaged items. Why should I purchase a service agreement for my furnace and AC? We maintain your records and notify you when your service is due. Service agreements make sense for anyone who wants to keep their HVAC units running at peak efficiency, and avoid costly breakdowns and service bills. Service agreements are also ideal for those who don’t want to pay higher fuel and electricity bills because their furnace or air conditioner is running too much. Really, service agreements are for anyone who wants to save money and time in the long run, and enjoy all the comforts of a properly working furnace and air conditioner. How can I get maintenance routinely done on my air conditioner? ➤ Extending the life of your AC unit. Regular preventative maintenance keeps your AC unit running at peak efficiency, meaning your air conditioner runs well, longer---even after exposure to those cold Wisconsin winters. ➤ Reducing your fuel and utility bills. Air conditioning units can cost as much as 20% more to run when your coolant is down 10%. A properly maintained unit uses less energy when refrigerant levels are maintained. ➤ Saving you money for emergency repairs. By having a HVAC technician check your unit regularly and keep your air conditioner at peak efficiency, you don’t have to pay for those emergency service calls. ➤ Less air conditioner replacements over the life of your home or office. There’s another benefit for customers who schedule regular air conditioner maintenance: you don’t have to pay for as many AC units because regular preventative maintenance keeps your air conditioner clean and running efficiently longer. ➤ A homeowner physically unable to maintain your AC unit. Contact us about a service agreement for your home, residential or commercial property in Watertown. We take care of your HVAC equipment, schedule your regular preventative maintenance and maintain your records. You stay comfortable, save money in the long run and enjoy all the conveniences of being a Service Agreement customer with one of Watertown’s premier air conditioner repair or service companies.